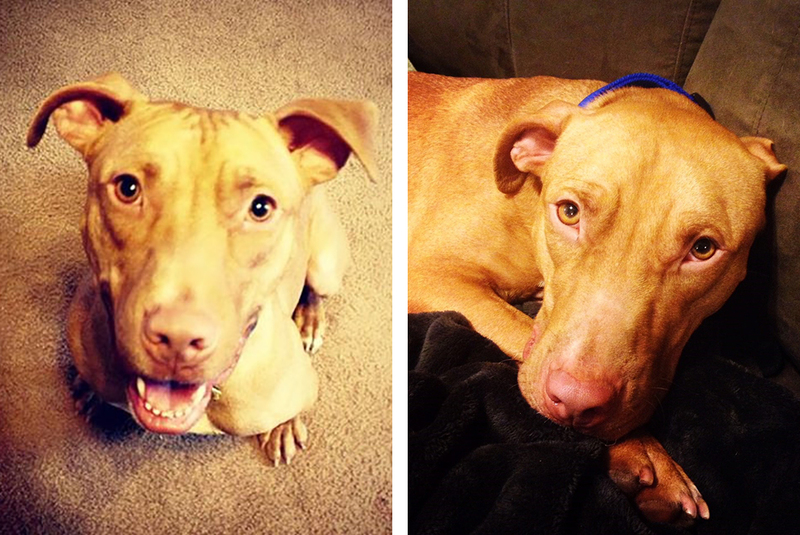 Nicole P. grew up in a family who had pit bulls and has always been familiar with the breed. 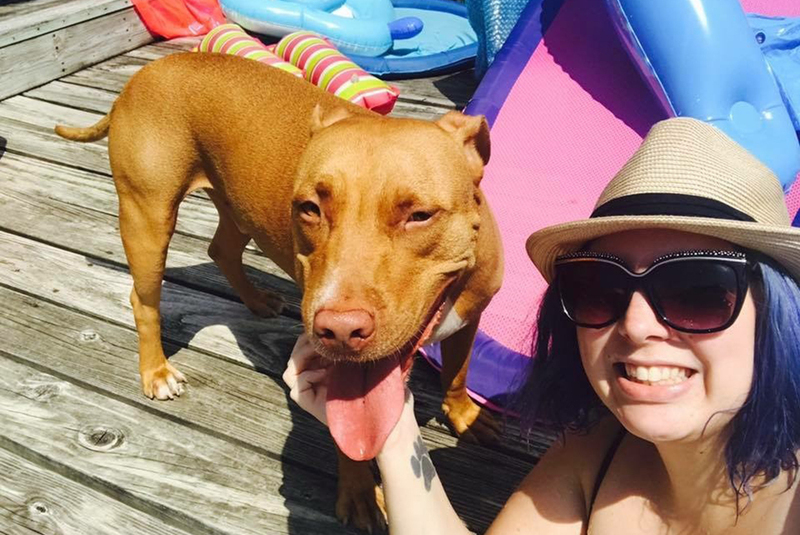 “I’m very passionate and know there is a big misconception out there about pit bulls,” says Nicole, an Iowa native and teacher at Waterloo East High School. 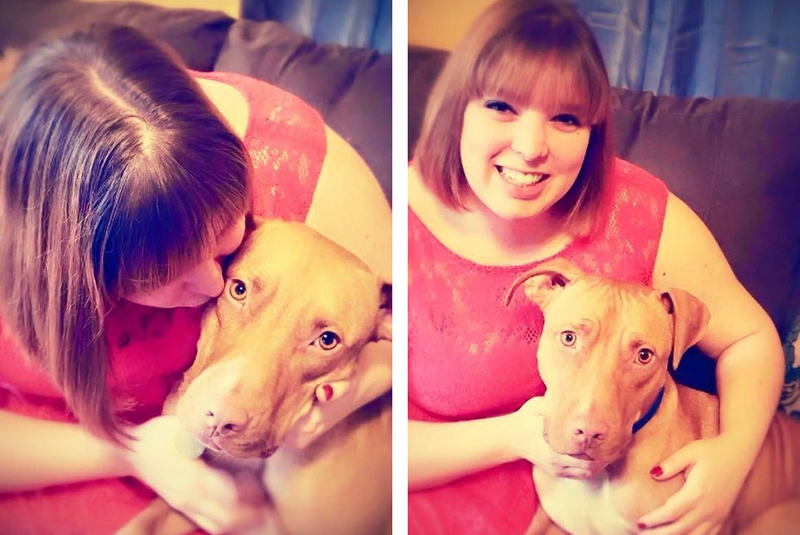 Soon after buying her own house a few years ago, Nicole finally had the opportunity to adopt a dog of her own. 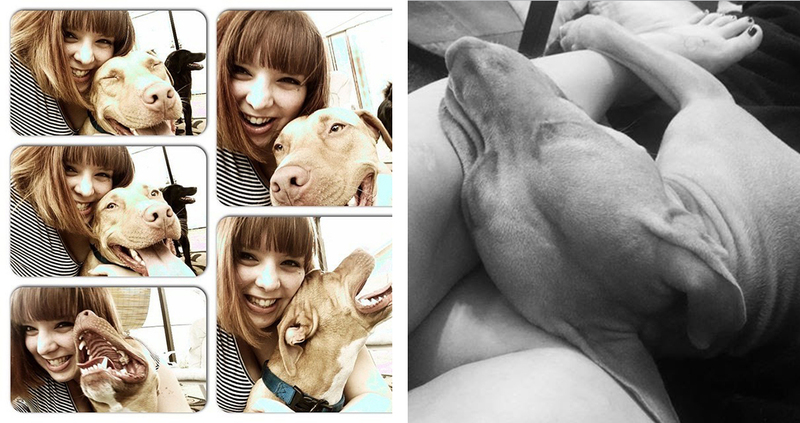 She visited her local animal shelter where she once was a volunteer in high school—Cedar Bend Humane Society in Waterloo, Iowa—and immediately felt a connection to a two-year-old pit bull named Scooby-Doo. 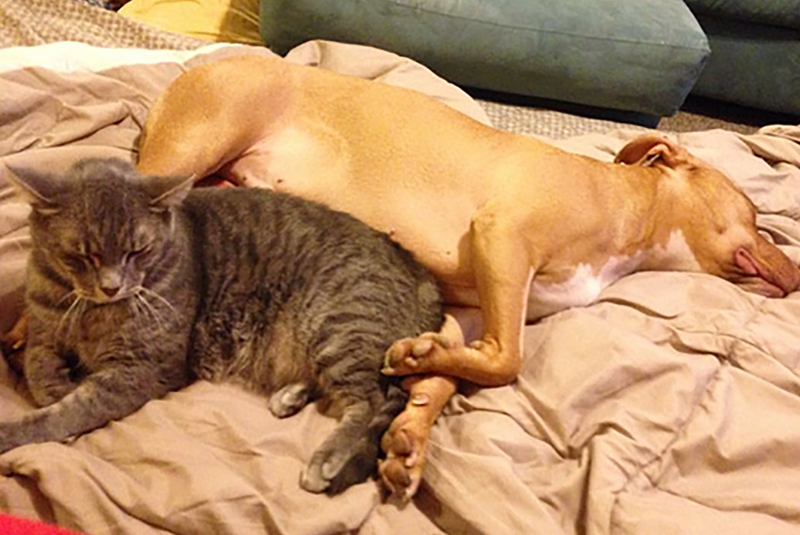 Nicole adopted Scooby just days after Christmas in 2015. 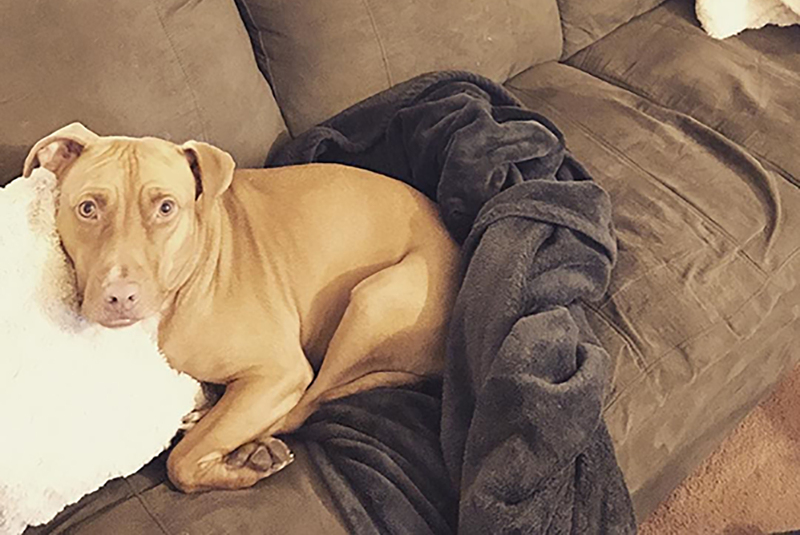 He had been at the humane society since October, and Nicole learned he had been born to a dog who was rescued by the ASPCA in the second-largest dogfighting case in U.S. history. Following their rescue, the dogs were cared for in a temporary shelter before eventually being transported to shelters across the country for adoption. Scooby ended up at the Cedar Bend Humane Society, which has taken in dozens of dogs from dogfighting rescues, many of them who are now living in loving homes like Scooby’s. 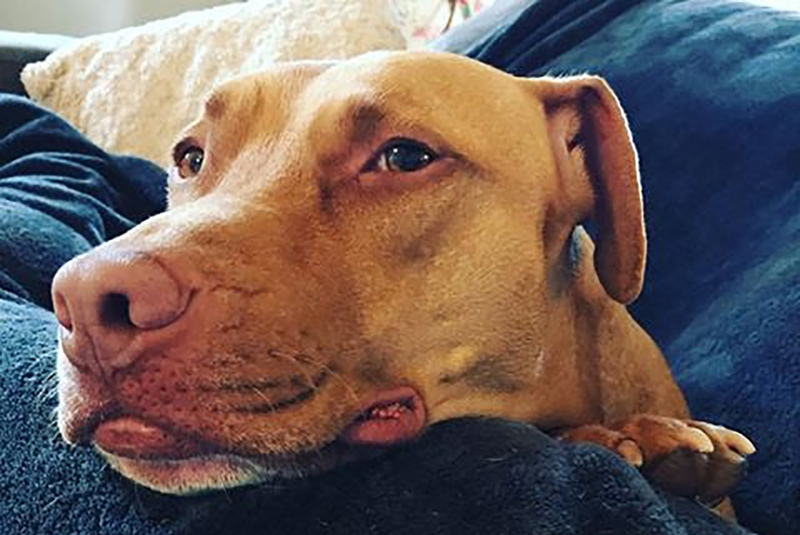 As part of National Dogfighting Awareness Day, the ASPCA recently recognized Cedar Bend with our annual Champion for Animals award, honoring animal welfare and law enforcement agencies, like Cedar Bend Humane Society, for exceptional work tackling dogfighting and giving these dogs a second chance in life. The 65-lb. Scooby shares Nicole’s house with her three rescued cats: Toby, Mufasa and Orion. He also loves other dogs and is “obsessed” with babies, as well as Nicole’s two god-children, who are 11 and 12 years old. Aside from lounging on his favorite armchair indoors, Scooby is very active outdoors. He has a fenced backyard and spends mornings barking at the squirrels in the trees. He and Nicole also make occasional trips to two local dog parks. Although he loves nothing more than attention, Scooby gives as good as he gets. According to Nicole, Scooby lavishes attention on her 77-year-old grandmother. “My grandmother just loves Scooby,” says Nicole, who takes him for visits every week.